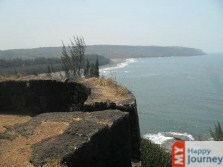 An authoritative city of yester year; Ratnagiri is sited on the gorgeous western coast of Maharashtra. It is said that during the reign of a Muslim King of Bijapur, Ratnagiri was the administrative capital and was an important place as well. 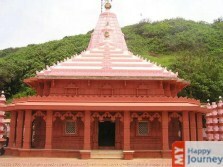 A must visit place in the travel itinerary of Maharashtra; it has diverse attractions to keep visitors occupied through the entire trip. The amazing beauty of this place leaves an unforgettable mark on the memory of the visitors. 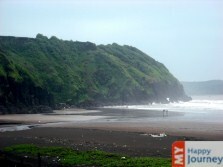 The beauty of the area is further augmented by the grandiose Sahyadri and the stunning Arabian Sea. Blessed by nature in all possible ways, it is the house of exceptional hills, appealing seashore, creeks, stunning rivers, hot water springs and cascades, along with ancient forts and monuments. Being located on the coastal belts, it has a number of beaches to flaunt. The astounding vista of an ancient fort, overlooking the waterfront, along with the miraculous beauty of silvery sand will surely leave you spellbound. This small city holds a significant position in the history also, as it is the birth place of the Indians who have lost their lives in freedom struggle. 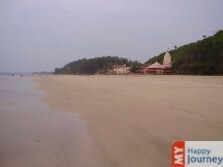 Located in the pretty surroundings, it offers a rejuvenating environment to the visitors. The spectacular view with white sand, along with the edging of swaying coconut trees and verdant mangroves, make this an ideal place for people who want to spend some time close to nature. 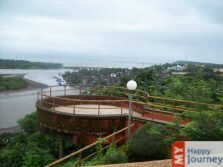 The amazing city of Ratnagiri has many things to mesmerize you. From majestic hills, to appealing sea shore and from cascading waterfalls to glorious monuments, it has number of things to offer to people. As the Konkan coast is a pristine area, thus you can see the beauty of nature at its best here, as it is definitely an amazing weekend destination.